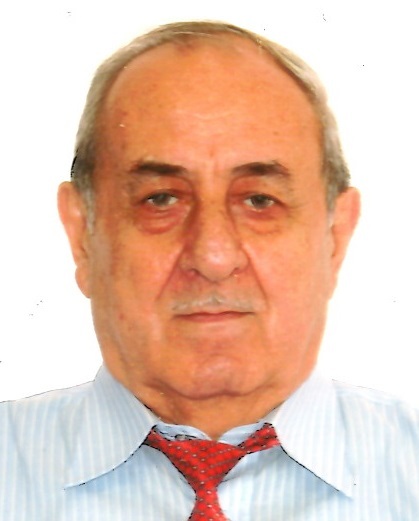 Obituary for Yuriy Bekiyants | Shore Point Funeral Home and Cremation Services, Inc.
Yuriy Bekiyants, 80, of Brooklyn, New York, passed away peacefully at home surrounded by his loving family on Thursday, March 22, 2018. Yuriy was born on September 8, 1937 in the U.S.S.R., where he was raised and began his life. Later in life, he settled in Brooklyn, New York. He was predeceased by his parents, Gregory and Anna Bekiyants. Yuriy is survived by his loving sons, Boris Bekiyants, and Sergey Bekiyants and his wife, Karina, and his former wife, Aliya, along with his cherished grandchildren, Kristina, Alena, Richard, Diana, Edward, and Elizabeth. He will be sadly missed, but never forgotten. Family and friends are invited to visit on Saturday evening, March 24, 2018 from 5:00 to 9:00 PM at the Shore Point Funeral Home and Cremation Services, Inc., 3269 State Highway 35 North, Hazlet, New Jersey 07730, and Sunday evening, March 25, 2018 from 4:30 to 6:30 PM, with a prayer service beginning at 6:30 PM, at St. Stepanos Armenian Church, 1184 Ocean Avenue, Long Branch, New Jersey 07740. A Funeral Service will be offered on Monday morning, March 26, 2018 at 10:00 AM at St. Stepanos Armenian Church in Long Branch. Entombment will follow at Holmdel Cemetery Mausoleum, 900 Holmdel Road, Holmdel, New Jersey 07733. For information, directions, or to send condolences to the family, please visit, www.shorepointfh.com.